During 2016, Carbon Neutral Charitable Fund planted a carbon sink of 8180 trees at Guildford Meadows, which was originally cleared for grazing in the 1930s and1940s. Guildford Meadows is now part of Whiteman Park and is considered an area of significant environmental importance, due both to its impressive population of native flora and fauna, and its role in protecting the Gnangara Water Mound which provides vital drinking water supplies to Perth. 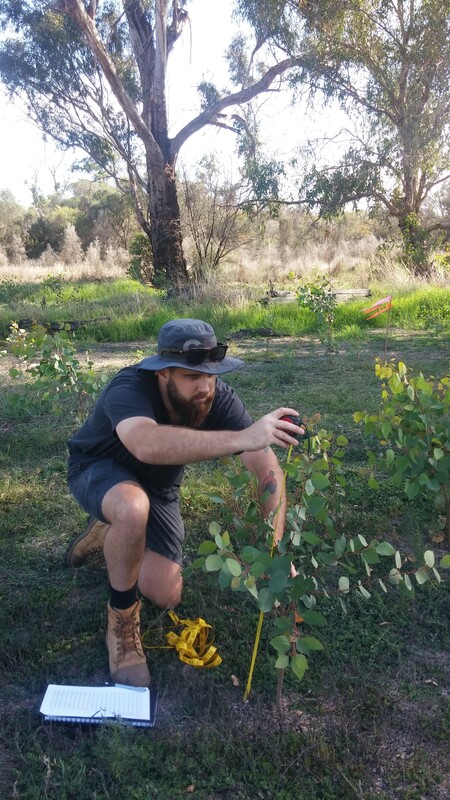 Our Stage 1 planting of 5000 trees had a 100% success rate and the area is now also showing some natural regeneration – but unfortunately, our Stage 2 planting of 3180 trees was destroyed in February 2017, when a 1 in 100 year flood event saw the area declared a natural disaster zone. The Gnangara Water Mound is currently the single most important source of drinking water for Perth city, but its water levels have fallen dramatically in recent times due to a combination of climate change and excessive use. This depletion is having a significant impact on nearby wetland and cave ecosystems, as well as causing the acidification of several nearby lakes. Guildford Meadows is an important site and needs to be revegetated in order to help protect the water supplies. Rain which falls on a tree hits the ground at a much slower rate, preventing soil erosion, and as trees grow their roots break up the soil, allowing water to flow into the groundwater table more easily. Trees also release water vapour into the atmosphere as part of their process of photosynthesis, which helps to cool the air, leading to lower temperatures in summer and less evaporation from nearby surface water systems. Given the rarity of flood events and the success of our Stage 1 planting, we have made the decision to replant the area around the lake with 3780 trees in a mix of eucalypt, casuarina and melaleuca. Planting is scheduled for July 29th, but this may change due to rainfall. Once established, the trees will provide homes for the native flora and fauna of the area, as well as becoming a carbon sink which will remove an estimated 600 tonnes of carbon emissions from the atmosphere over a 25 year period.